Chua Ek Kay conceptualised and established his work in a fundamental period in Singapore during the 1980s and 1990s, when both the economy and environment were rapidly changing. 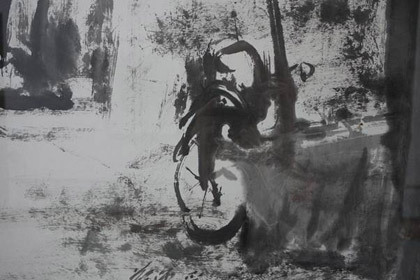 Throughout his professional life, the late Chua Ek Kay crossed many constraints by using traditional Chinese ink, yet developing compositions which were clearly outside Chinese aesthetic conventions. Encroaching boundaries and experimenting with new styles is hardly an issue in today’s liberated contemporary art world, but back then any departure from the predictable was rarely understood. Being and Becoming Chua Ek Kay takes viewers on the unseen journey of the artist at work, and explores his enduring legacy. The film reveals not only a visual journey, but also the emotional conflicts behind a particular artist’s struggle. This exceptional story is told through his family, creative peers, artistic collaborators and close friends. The film offers exclusive and intimate insights into how and why the classically trained artist risked rejection to revolutionize the traditional Chinese ink art form in Singapore.